MANHATTAN (CN) – Launching a fundraising drive in the face of mounting legal troubles, WikiLeaks filed its first court papers ever in a New York federal court on Friday, calling the Democratic Party’s conspiracy lawsuit over the 2016 election a threat to freedom of the press. “Even the prospect of liability at all, much less RICO treble damages, for publication of truthful information of public interest would have a devastating chilling effect on the press’s exercise of constitutionally protected speech,” WikiLeaks attorney Joshua L. Dratel wrote in a 25-page brief. Earlier this year, the DNC filed a federal lawsuit accusing WikiLeaks of conspiring with Russian intelligence and the Trump campaign to act as a “racketeering enterprise” during the 2016 presidential election, implicating 15 people and entities. “The conspiracy constituted an act of previously unimaginable treachery: the campaign of the presidential nominee of a major party in league with a hostile foreign power to bolster its own chance to win the presidency,” the April 20 complaint states. “From everything I know, he’s sort of in a classic publisher’s position and I think the law would have a very hard time drawing a distinction between The New York Times and WikiLeaks,” McCraw said. WikiLeaks argues in Friday’s filing that it was neither the first nor the exclusive vehicle for the leaks at issue, noting that DCLeaks and Guccifer 2.0 made the initial releases in part through other outlets such as WordPress. A dozen Russian military officers alleged to be behind DCLeaks and Guccifer 2.0 were indicted by Department of Justice earlier this year in connection with interference in the 2016 presidential election and the hacking of the Democratic National Committee. “The suit claims that the scandalous emails of powerful political operatives are ‘trade secrets’ and cannot be published. 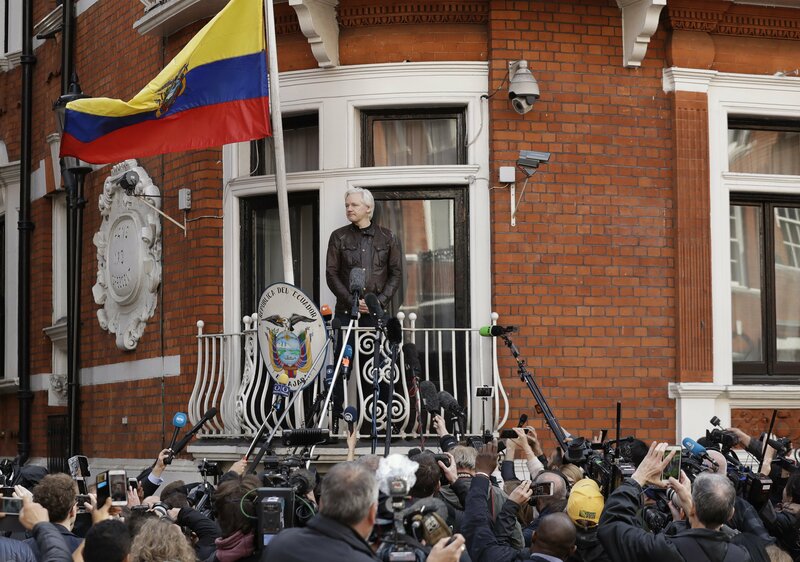 If this precedent is set it will be the end of serious journalism as we know it,” Hrafnsson said. The DNC’s deputy communications director Adrienne Watson told WikiLeaks to consider its allies before adopting the mantle of free speech. WikiLeaks’ bid to dismiss the DNC lawsuit came amid a flurry of similar motions by its co-defendants, including President Donald Trump’s son-in-law Jared Kushner, Trump campaign advisor George Papadapoulos, Republican dirty trickster Roger Stone and brothers Emin and Aras Agalarovs. The Agalarovs are Azeri-Russian oligarchs whose ties to Trump date back to the 2013 Miss Universe pageant in Moscow, a relationship that ultimately led to the fateful meeting three years later at Trump Tower. Attended by Kushner, Donald Trump, Jr., and disgraced ex-Trump campaign manager Paul Manafort – and a Kremlin-linked attorney intent on sanctions relief for Russia – the Democrats call the June 9, 2016, meeting a crucial stage of a plot by the Trump campaign to seek opposition research on Hillary Clinton from Russia. WikiLeaks started publishing the DNC’s hacked emails the next month, and Special Counsel Robert Mueller charged Russian intelligence officials with being behind the cyberattack.